Posted on January 19, 2017 at 12:00 pm. To develop a successful professional acting career, you have to know how to effectively promote yourself. In effect, you can think of yourself as a one-person business where the commodity you are selling is your acting ability. No business succeeds without good marketing and the actors who build sustainable careers are usually those with the right combination of acting talent and self-promotion skills. Learning how to market yourself may not seem like the most exciting part of working as an actor, but if you overlook this key part of the profession your career is likely to suffer significantly. It’s no use being a fantastic actor if nobody ever finds out about you, after all! All of the most successful actors you can think of at one time or other figured out how to market themselves to the right industry gatekeepers in order to get ahead. If you want to make a living as an actor, you need to learn how to market yourself too. Fortunately, we have some essential pointers to help you on your way. If you are aspiring to be a professional actor then at the very least you need to have three key marketing tools: an actor’s CV, head shots and, ideally, a showreel. These three things show agents and casting directors your previous acting experience, whether amateur or professional, your “look” so they have an idea what kind of roles to put you in for and your actual acting ability. With these three different types of information, agents and casting people can make an informed decision about where you might fit and what kind of opportunities they may want to offer you. It’s also worth putting together a press kit as soon as you have enough to fill one. This will contain more detailed evidence of your achievements to date, such as photos and press clippings, plus useful information such as your website and social media profiles. This can be highly effective when selling yourself to agencies and gives them something to talk about when promoting you for potential projects. What’s the first thing most casting directors and agents will do when considering a new actor? Head straight to Google and see what they can find out about them. This is why it is absolutely essential that all aspiring professional actors have a strong online presence. The more visible you are online, the more of a serious, “real” actor you will appear to be. So what do you need to do online? The first step is to create a professional-quality website. There are all sorts of things to consider when creating your acting website, but perhaps the most important ones are that it looks and reads like it has been professionally produced, it contains all the key information from you promotion package and it can be easily updated by you. This last one is easy to overlook, especially if you pay someone else to make your site for you. Unless you are particularly good at coding websites, you should have your site built using an easy to use content management system such as WordPress. This will let you make updates yourself when you have new acting credits, photos or clips to upload without having to pay the original developer extra to do this for you. It’s also increasingly important to know how to use social media to promote yourself and to connect with other industry players, including fellow actors, directors, agents and casting directors. Social media can allow you to stay up-to-date with all of the latest opportunities and is also a chance to keep reminding key people in the industry that you exist so they are more likely to think of you when a suitable part comes up. As valuable as online marketing can be, you shouldn’t neglect good, old-fashioned face-to-face interactions. Knowing how to network can allow you to build much stronger connections with people than you will purely online. Most people are more inclined to remember and think positively of someone they have met in real life as they will see you as more of a real person, rather than just another name on a screen. So where can you go to network with the right people? Industry events, premieres, launch nights, parties – essentially anywhere that industry insiders are likely to be can present an opportunity to get your face and name out there and make a positive impression. Just remember, never be too pushy as that will put people off and don’t forget the golden rule of networking – always have something to offer other people before you start asking for favours from them. All forms of marketing rely on choosing a specific target audience and tailoring your efforts towards them. Ask yourself: what are you trying to achieve and who will help you achieve it? If you are trying to find an agent, what they need from you will be different to what casting directors are looking for. If you are looking to connect with other actors who might be able to put in a good word for you or let you know about opportunities, your approach will likely be quite different to how you would interact with a casting director. If you understand who you are targeting your marketing towards, you can adjust your tactics to give those people the information they need in a way that they are likely to find useful and engaging. This massively increases your chances of success and shows that you understand how the industry works, enhancing your image as a real, professional actor. Marketing, for actors and any other industry, is much more effective when informed by detailed research. Find out which agents represent actors of your type and who has been most successful at placing those actors in the kind of roles you are interested in. Get the names of every casting company in your area and make sure you are following them on social media. Likewise look up production companies, audition listing sites and anywhere else that can give you information on upcoming opportunities. When approaching agents and casting people, find out how they like to be contacted and exactly what information they require. These days, virtually everyone will want you to get in touch via email and they will expect to see your CV, head shots and showreel (and potentially your press kit). However, everyone has their own quirks, so it’s always best to phone up first and speak to someone so you can make absolutely sure you are sending through everything they need to make a decision. This might not sound like marketing, but having a good reputation can have a strong impact on your chances of making it in this industry. Whether you are going for an audition, rehearsing for a role or performing, always make sure you behave in a respectful professional way towards everyone you meet. Don’t underestimate the value of being seen as someone who is pleasant and easy to work with. This can be just as important as your actual acting ability when it comes time for people to decide who to work with. And never forget that just because someone is bringing you cups of tea or photocopying scripts today, doesn’t meant they won’t be someone with the power to make or break your career in a few years’ time. It is becoming increasingly common for actors to create their own opportunities by writing and/or producing their own material. Whether it is a play, short film, web series or any other kind of production you can develop yourself, nothing helps you sell yourself as effectively as good quality work on your CV and in your showreel. If your experience is a bit thin on the ground, get proactive and start looking for people to collaborate with. By creating your own work, you are not only producing valuable examples of your acting ability for your portfolio, you are also showing that you are a dynamic, hard-working person with lots of initiative. This can make you much more attractive to agents and casting people. Creating your own work is also likely to give you a much better understanding of all aspects of the production process, which can only benefit you as an actor. It’s worth bearing in mind that some of those projects may even take off, meaning they could be a road to success in their own right. After all, nothing helps you market yourself more than previous successes. Becoming a successful professional actor requires a combination of elite acting ability and a strong understanding of how the industry works so you can land the auditions and roles you need to build a career. Our courses include world-class method acting training, so you have the acting chops to stand out. They also equip you with a deep understanding of the industry so you can effectively take your news skills to the market and start getting work. 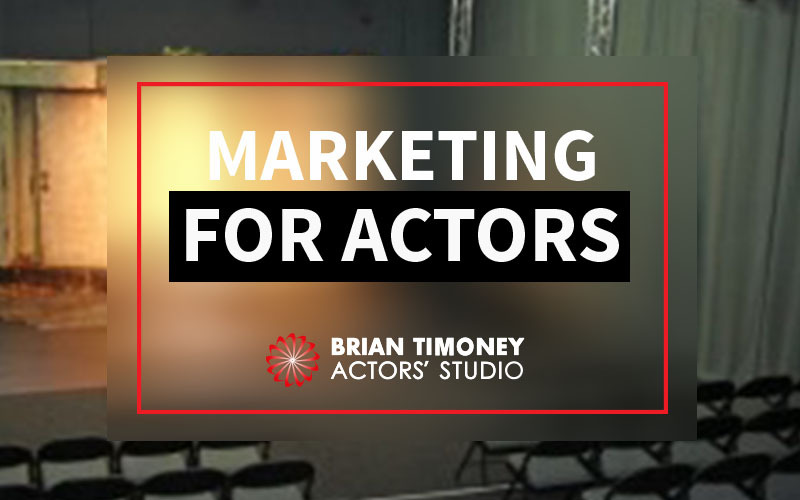 So, whether you want to learn about marketing for actors or any other aspect of the acting industry, we can teach you everything you need to know. 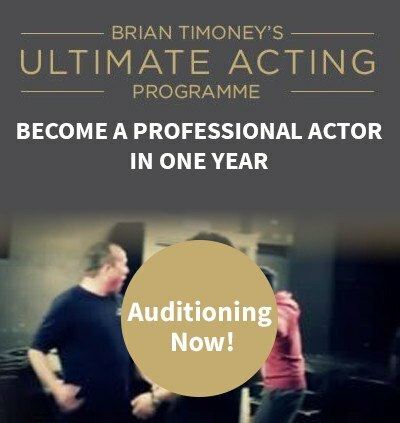 Our 1-Year Ultimate Acting Programme covers everything you need to succeed as a professional actor, so if you want to turn your acting dreams into your everyday reality, please don’t hesitate and apply today!